While it’s understandable to dread the moving process, it’s a process you’re better off diving into headfirst rather than drag your feet. 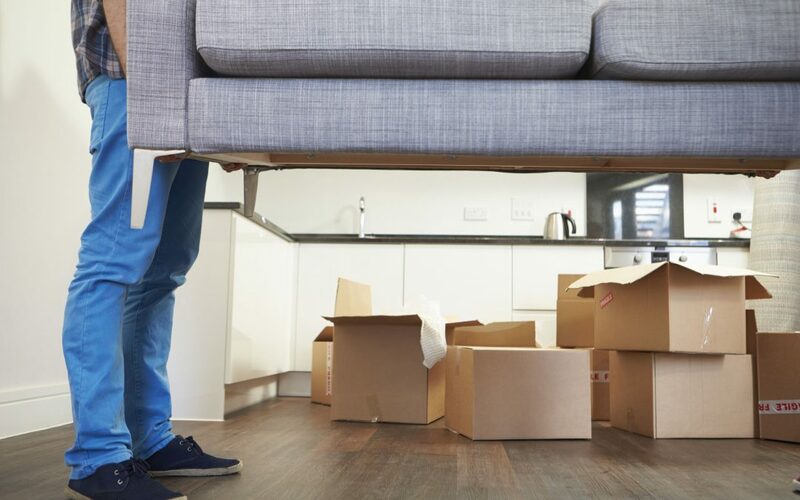 When it comes time to move furniture, it’s vital you make sure you do so the right way both to avoid injury and to make sure your furniture survives the move. Here are five safety tips when the time comes to move your furniture. When lifting heavy furniture, you need to use the right form to avoid injuring yourself. Put all your lifting weight into your legs rather than your back, and gently lift furniture upward rather than jerking it up. If at all possible, keep your back as straight as you can while lifting and moving. When it comes to beds, tables, entertainment systems and anything else of equal size, do yourself a favor and break the piece down. While breaking items down can be a hassle, doing so makes it easier for you to fit large items through the door, and there’s also the fact that going up and down the stairs with heavy furniture can be difficult and potentially dangerous. Tall and long furniture pieces should be carried at a high and low angle rather than hoisted evenly. The reason for this is the angle makes it easier to maneuver the item up and down stairs, and you don’t have to worry as much about the furniture getting out of control while moving it. You likely don’t have a dolly around, so check with friends and family to see if they have one they can lend you. Dollies make moving furniture much easier, and they’re better for your back. Before moving any furniture, do a test run of the path you intend to take to see if there are any dangers, hazards or obstacles to take care of. If you ever need additional help moving your furniture, let us know here at Attention to Detail Moving. These are very useful tips. I’m taking notes on this in case I’ll be needing this in the future. We all want a stress free moving and avoid any problem in the way.